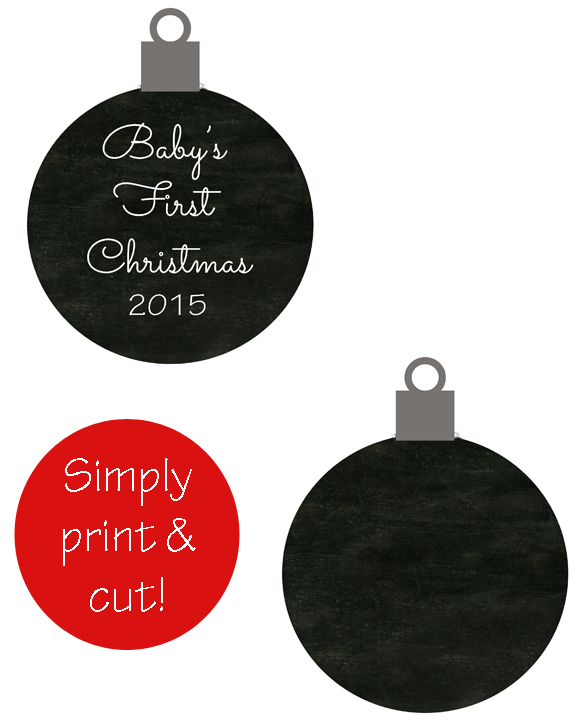 GET THE 2016 PRINTABLE ORNAMENT HERE! Just this past week a friend and I were messaging back and forth online. 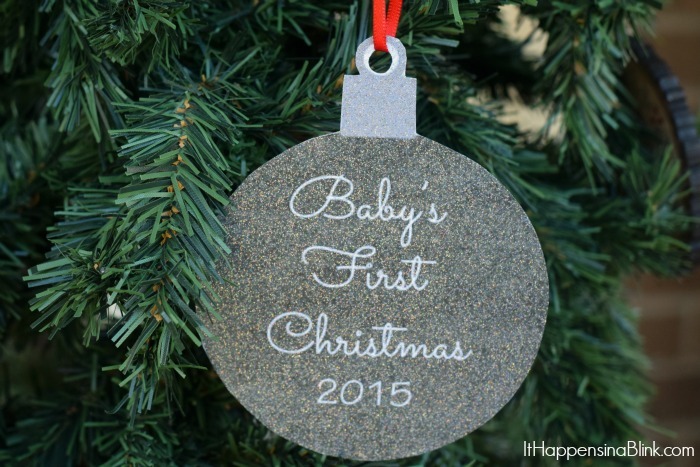 It’s her first Christmas with her baby, and thinking about her and many other friends who are experiencing their first Christmas’ with their babies brought back many fond memories. No matter how you celebrate Christmas, there is something different and exciting about experiencing it with a new baby. “Playing Santa” is always fun, and I love seeing the wonder in their eyes as they see Christmas lights for the first time. There’s anticipation over sharing family traditions, as well as beginning your own special ones. Christmas with a first child is just plain awesome! The more kids that I have the easier that it is to forget that feeling, but I like taking time to recall it when I see friends and family with their first little one. I am gifting to a few family members this year who have a new baby for the holidays. 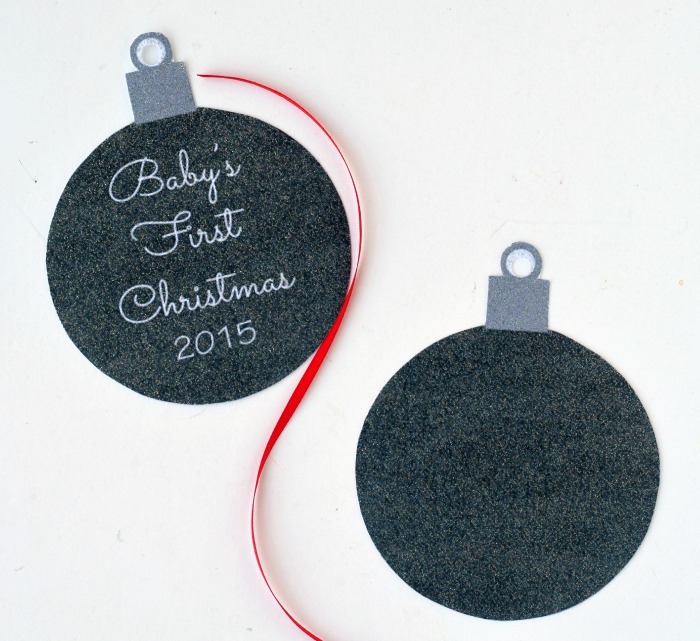 I made this printable Baby’s First Christmas ornament to include with their present. I’m offering it as a FREE printable for everyone below! Simply print off the below image (it’s sized for an 8 1/2 by 11 page), cut it out with scissors, glue the pieces together, punch the top out with a hole punch, and finish off with a ribbon. You can use it on your tree or use it as an embellishment on a gift. Right click the image below and save it to your computer to print! You may notice that my ornament photo below looks glittery. 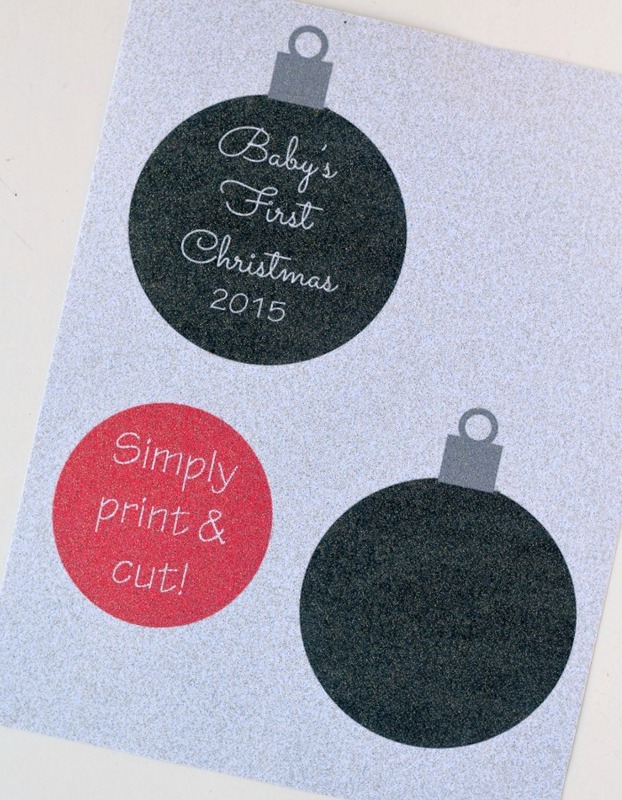 I printed the ornament on one of my new favorite papers- printable inkjet glitter paper! It is true glitter paper without the mess, and anything that you print on it has a crafty, glittery look. Cool, huh?!? Of course, you can print the ornament on regular card stock. To use as an actual ornament, it is best to use a heavy weight card stock. 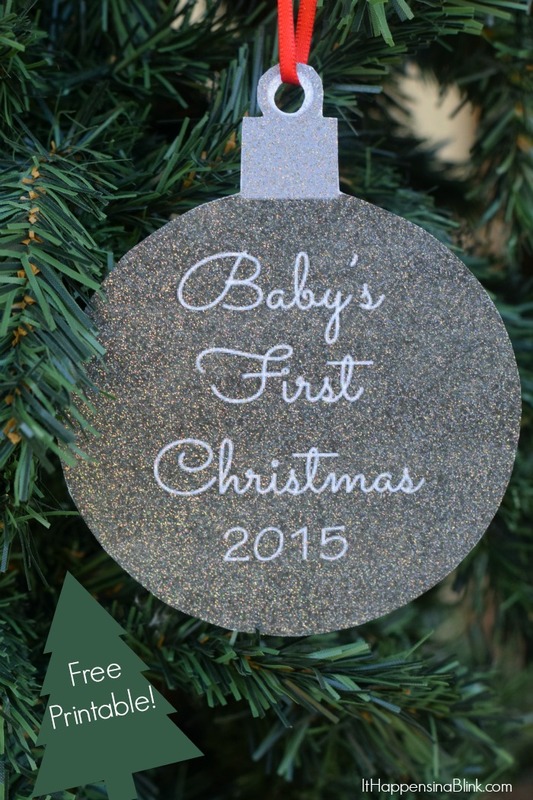 So grab the free printable and tell me what new baby that you are gifting to this Christmas!